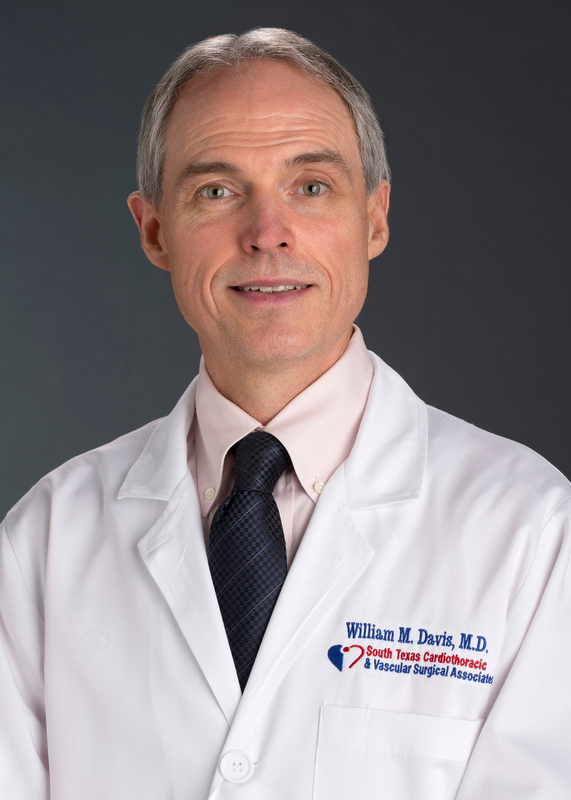 South Texas Cardiothoracic > Doctors > Surgeon > William M. Davis, M.D. About William M. Davis, M.D. Dr. Davis joined South Texas Cardiothoracic and Vascular Surgical Associates in September 1997, and currently serves as Vice President. He began his surgical practice in San Antonio after completing his medical training in 1991. Dr. Davis is a Diplomat of the American Board of Surgery and the American Board of Thoracic Surgery. Dr. Davis graduated with honors from Baylor College of Medicine in Houston, Texas, receiving his medical degree. He then moved to San Antonio, Texas, where he completed his general surgery residency at the Bexar County Hospital. From there, he went to the University of Oklahoma Health Science Center to complete a three-year residency in thoracic surgery.